The first day of fall will be here before we know it—so quickly in fact that the person in front of me at Starbucks this morning ordered a PSL. With this change of season comes back-to-school chaos (read: backpacks on the floor), cooler weather (read: coats and boots) and guests arriving for the holidays (read: even more coats and boots). 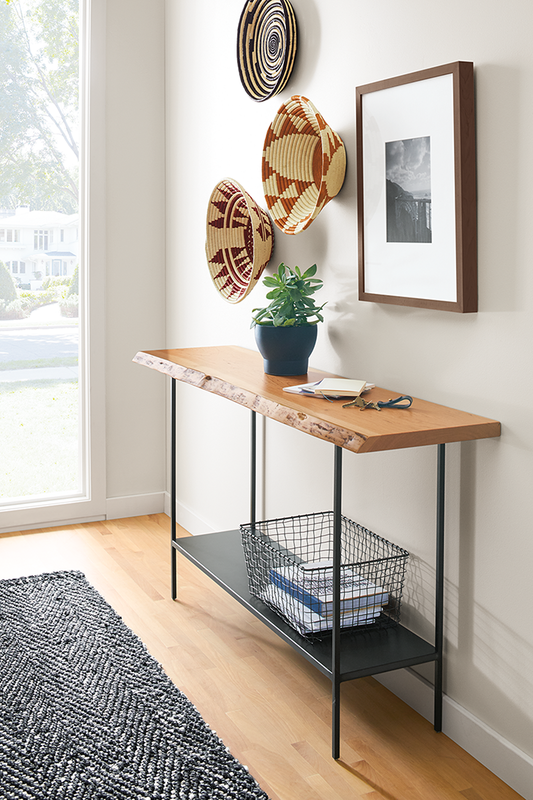 To make the transition a little less overwhelming, we’ve rounded up five products to help create a welcoming and organized entryway. If you have kids, the chances of hanging their backpacks even when there’s a hook or rack to do so, is slim to none (pun intended). That’s where the Slim cubby bench comes in handy to either tuck a bag in one of the compartments or rest on top. Hey, at least it’s not on the floor, right? 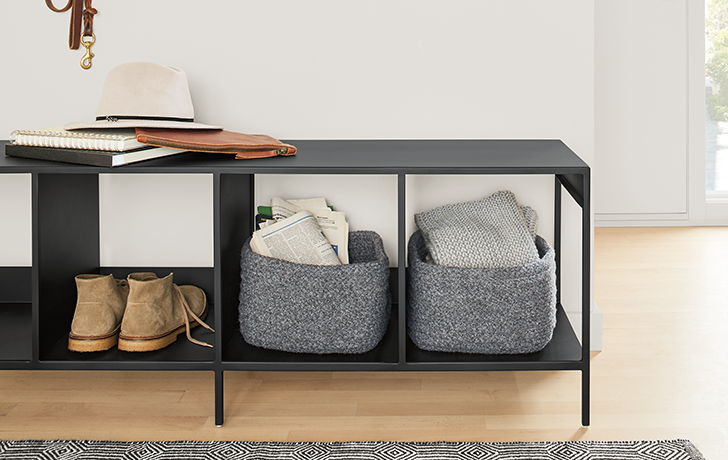 For the adults (and well-behaved kids) who actually hang up coats and bags: Valet’s slender shape adds modern storage that’s perfect for small spaces. Give your guests and yourself something beautiful to look at as soon as they walk in the door. Our Chilton console table is as unique as the tree from which it came and provides a resting spot for your keys, mail, coffee (don’t forget a coaster! ), etc. 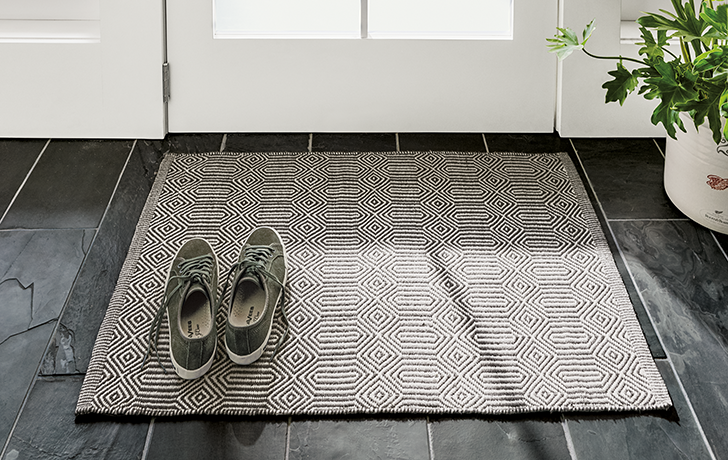 An influx of guests is no match for our Sequence rug. Its durability makes it perfect for high-traffic areas and is suitable for the outdoors. Plus, the flat weave makes it easy to open doors without getting caught. 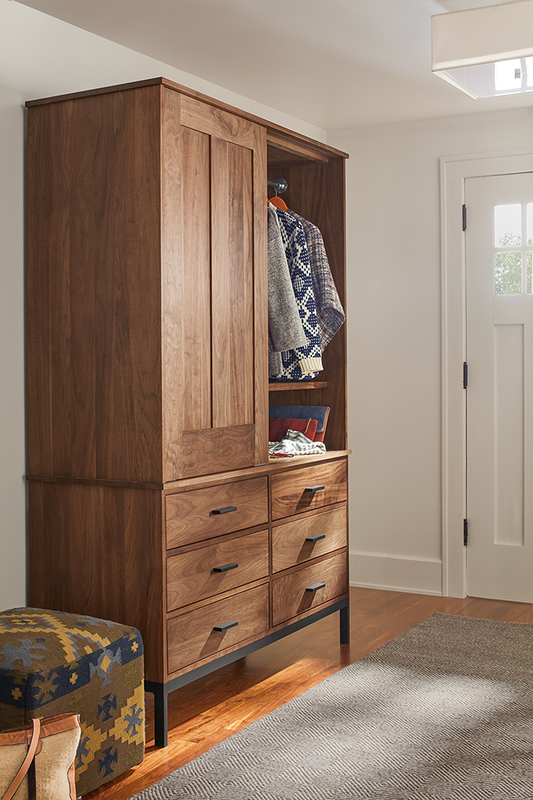 Our Linear armoire is the ultimate storage solution for an entryway. Hide coats, shoes, gloves—you name it, Linear can store it. Not to mention its two-piece design allows the top part of the cabinet to detach from the bottom, so you can easily move it into any room. 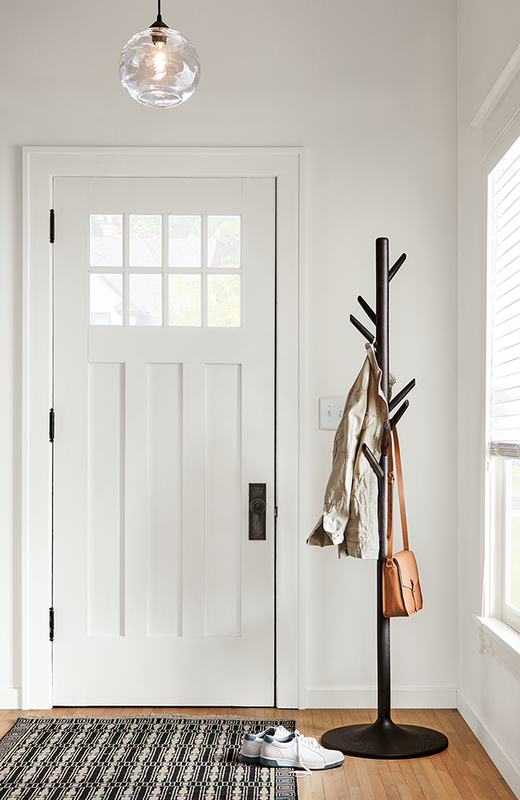 For more entryway inspiration and to browse our full collection of entryway furniture and decor, visit roomandboard.com.